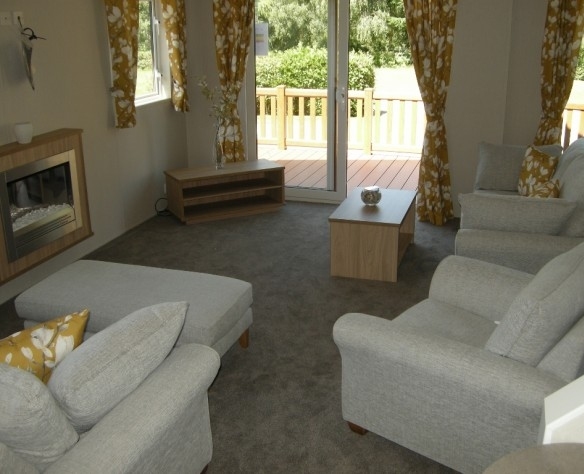 The great value Clearwater is the ideal choice for weekend getaways or family holidays, with a new neutral colour scheme for 2018, comfortable soft furnishings and a wide range of features. 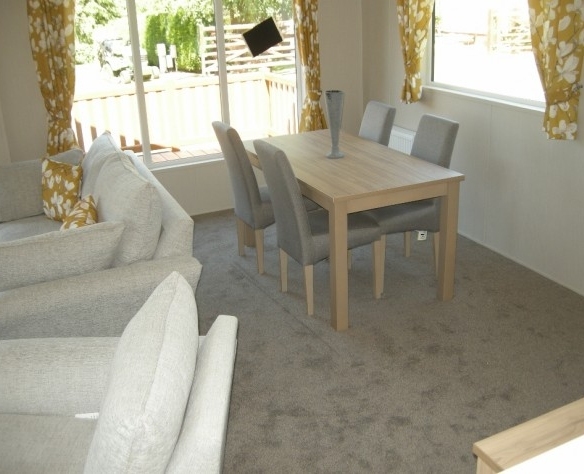 With a lounge that offers direct access through the sliding patio doors to your outdoor space and an incredibly spacious dining area that benefits from windows to two aspects, the Clearwater provides an instant sense of freedom and relaxation. The stylish two-seater sofas surround the flame effect electric fire which optionally pulls out into a sofa bed for extra guests. Sumptuous curtain fabrics, generous comfy seating and the classic oak wood tones of the furniture combine to give this lodge a stylish appeal. 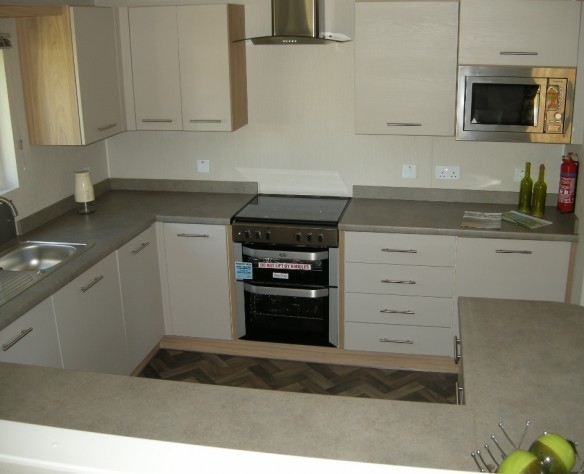 The large modern kitchen includes the ‘Deluxe Pack’, a wide variety of appliances including a double cavity gas oven/grill, an integrated microwave, fridge, freezer, washing machine and dishwasher. 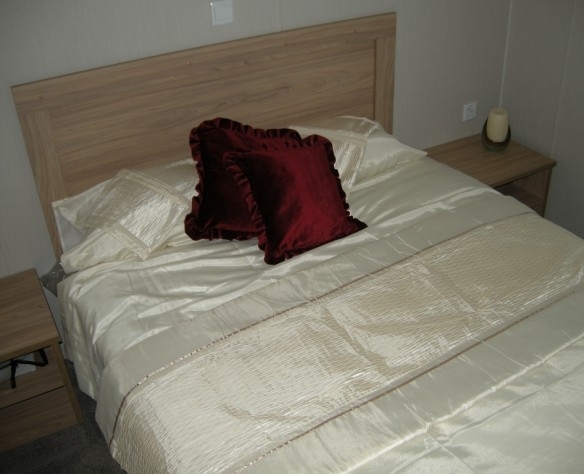 The bedrooms utilise contrasting wood tones to great effect. The master bedroom features plentiful amounts of storage with a lift up king-size bed, bedside cabinets, overhead attic storage and a walk-in wardrobe with hanging rails and drawers. 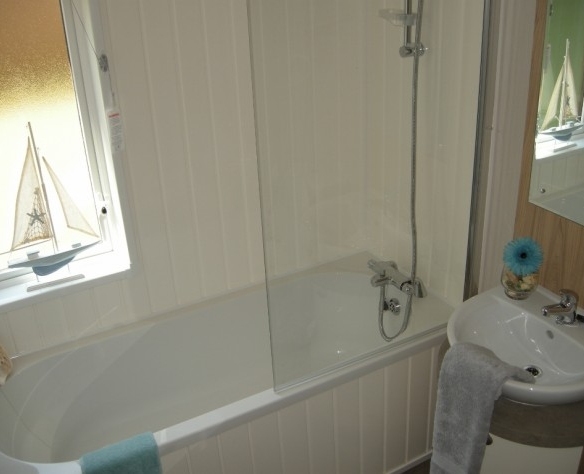 It also has access to a spacious en-suite shower room.The co-ordinated twin single beds in the second bedroom are joined by bed-side cabinets and a large walk-in wardrobe. 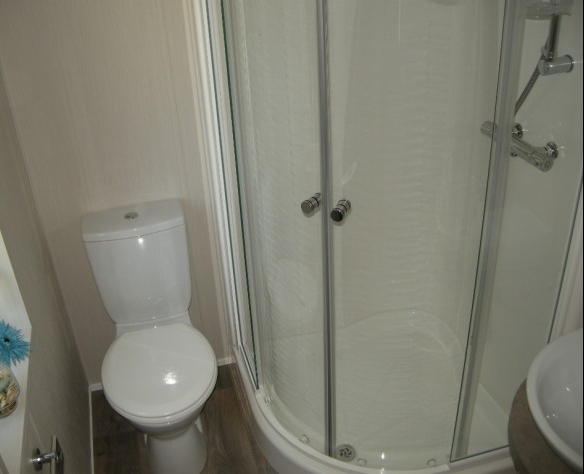 The family bathroom hosts a large bath/ overhead shower and screen, mounted wash basin and dual flush WC. 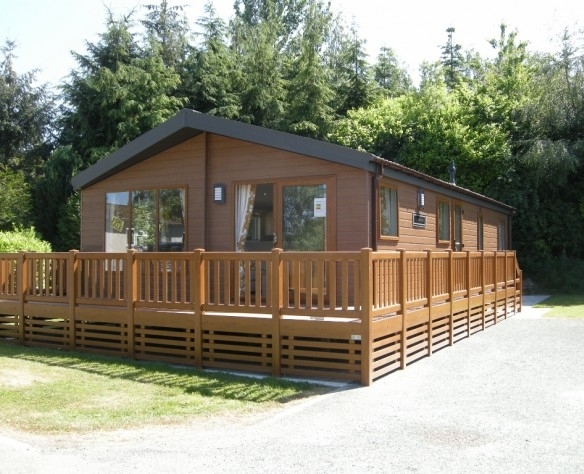 The Willerby Clearwater Series 3 is a brilliantly spacious lodge with double glazing and central heating. You will have access to private parking next to your holiday home. The lawn and grounds will be maintained by Morris Leisure. The guide price may be subject to a delivery charge and excludes site fees. Have a question for us? Fill in your contact details and one of our team will be in touch with you as soon as possible. Please help us filter out unwanted spam by not filling in your email address. 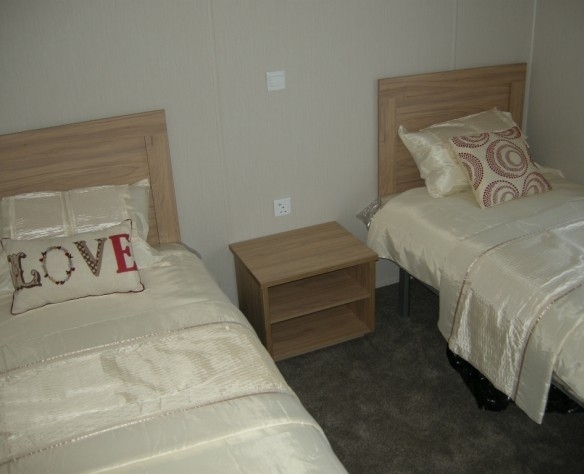 Thank you for enquiring about one of our Holiday Homes. We will respond back to you as soon as we can. Please allow 2 working days for a response. In the meantime, you can check the FAQ section. Alternatively, if you’re very interested or keen to book a viewing, please feel free to contact the Park direct. For all the latest news and offers, straight to your inbox. Please leave the above field blank for validation purposes. Keep up to date with all the latest through social media.